Vanilla is one of the finest of the flavors. Vanilla is beloved by taste enthusiasts for the smooth and sweetly mellow flavor it adds to foods and beverages. A dash of vanilla can make any baked item more flavorful. There are many different forms of vanilla. You can find vanilla extract, vanilla bean, vanilla bean paste, and vanilla flavor at the grocery store. All of them may be used for baking or cooking. You may be asking yourself: “Which is the best version of vanilla to use when I am cooking?”. Here is a breakdown of the differences between vanilla bean vs vanilla extract, and other versions of vanilla. Vanilla beans come from only one source. One hundred percent of true vanilla derives from the orchid of the genus of vanilla. Most vanilla beans come from the Mexican and Central American version of the vanilla orchids. This type of orchid is called Vanilla Planifolia. The Vanilla Planifolia has a high vanilla flavor content, which is why it is the most used orchid for the task of making vanilla flavoring. It is also known as the flat-leafed vanilla. Vanilla Planifolia orchids can only be grown 10 to 20 degrees north or south of the Earth’s equator. The Vanilla Planifolia has a greenish yellow flower that blooms for only one day. When the flower is in the process of blooming it must be pollinated. On vanilla plantations, the Vanilla Planifolia orchid flowers must be manually pollinated by hand to ensure that they are pollinated. In the wild, it is very difficult for a mature vanilla orchid to become pollinated naturally. The mature vanilla orchids are about 3 meters or ten feet tall. After the plant has become pollinated successfully it should produce fruit. The fruit on a Vanilla Planifolia is a vanilla bean or pod. A vanilla bean grows out like a long green pod. The vanilla beans mature over the course of five months. They can be harvested and cured to be made into vanilla extract and vanilla essential oil. Vanilla extract is made from percolating -a term in chemistry that refers to filtering fluids through a porous filtering material- vanilla beans with a solution made of water and ethanol. 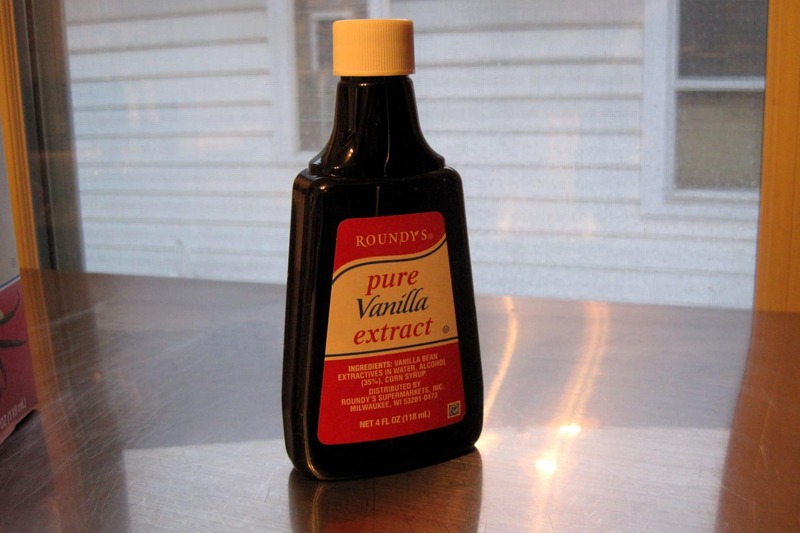 Vanilla extract is the most common type of vanilla flavor that is used around the world. Vanilla extract is a commonly used ingredient for many types of western desserts. It is often used for ice creams, cookies, brownies, cakes, chocolate, custards, and pudding desserts. Vanilla extract is used for so many different desserts because it not only helps a dessert by adding its own flavor to the dessert, it also adds to the enhancement of the flavor of other ingredients in the concoction. How Much Vanilla Extract Equals a Vanilla Bean? How much vanilla extract equals a vanilla bean differs based upon the brand of the extract and the type of vanilla bean. For instance, the vanilla beans from Tahiti are the largest vanilla beans in the world. Therefore they would be the equivalent of more vanilla extract compared to average vanilla beans. Generally speaking, one average vanilla bean is the same amount as about one to three teaspoons of vanilla extract. Baking with Vanilla Bean vs Vanilla Extract? Vanilla bean and vanilla extract are technically the same things. Vanilla extract just has a few more added ingredients. Generally, people choose to use vanilla extract instead of vanilla bean for cooking and baking based upon vanilla beans being more expensive in a smaller quantity. People usually opt to get what they can out of their money’s worth, so a big bottle of vanilla extract makes more sense than buying one whole vanilla bean. That’s not to completely discourage the curious from trying out a vanilla bean in their baking or cooking. A vanilla bean adds something a little different to any cooking or baking. Vanilla bean generally leaves flavorful specks in the food from the innards of the bean. Some ice creams and coffee beverages are vanilla bean and have tiny black specks from the vanilla bean ingredient throughout the mixture. There are four types of vanilla beans that you can use within your cooking and baking. They each have distinct vanilla flavor and a little something more that is all their own. The Madagascar Bourbon vanilla beans have a deliciously creamy and sweet vanilla flavor. Beans from Mexico tend to have a spicy vanilla flavor. They are more ideal for barbecue sauces, salsa, and chocolate. 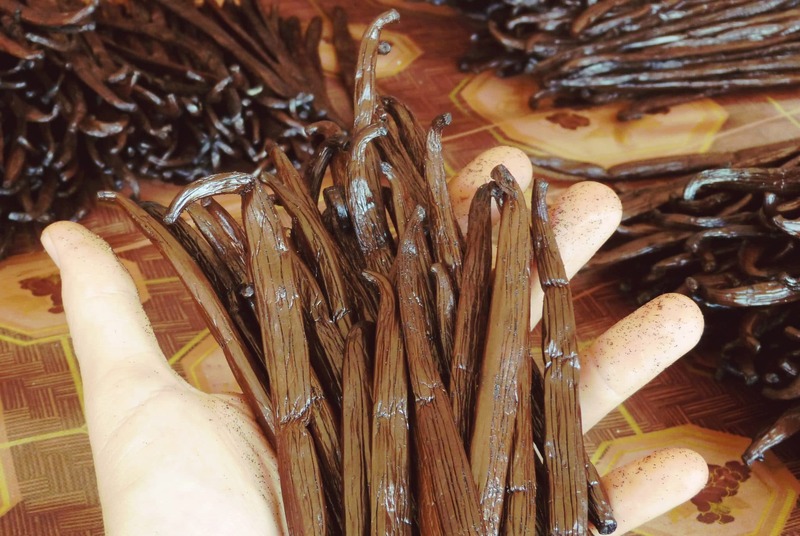 Indonesian grown vanilla beans are more woodsy in their flavor. They are perfect for cookies or chocolate. Tahitian vanilla beans are more fruity and floral in flavor. Tahiti vanilla beans are best suited for coffees, ice creams, custards, and drinks. Tahiti vanilla beans are distinctly different from other country’s beans because the growing conditions there make the beans very plump. Technically speaking the Tahiti vanilla orchids are a different version than other vanilla orchids because the growing conditions have made the plant different and its own variety of vanilla orchid. Both the vanilla bean and the vanilla extract will give you a delicious vanilla flavor in your baking goods. 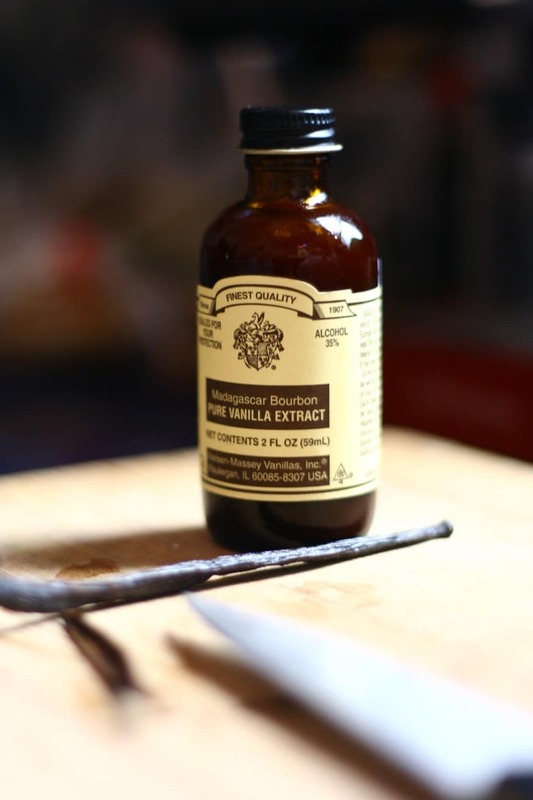 Vanilla extract will create a smoother mixture or concoction for a far less price. They are better suited for food that is darker in color and not as fluffy. Vanilla extract is also far less messy during food preparation. 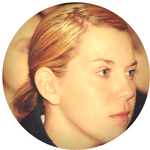 Vanilla bean will add flecks and more texture to a mixture which makes it seem more distinct and at a pricier cost. Vanilla beans are recommended for use with lighter colored foods or fluffier baked goods. Vanilla bean paste substitute is something for those who want a combination of vanilla extract and vanilla bean in their baking and cooking. It’s a bit of a “meet me halfway” baking product which is something that we honestly need more of out of our lives. Vanilla paste has the brown flecked look of a whole vanilla bean. Vanilla bean paste is also far less messy or expensive in comparison to a whole vanilla bean. 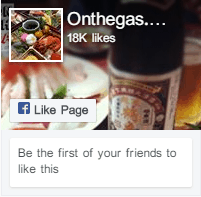 It is priced comparably to a bottle of vanilla extract. 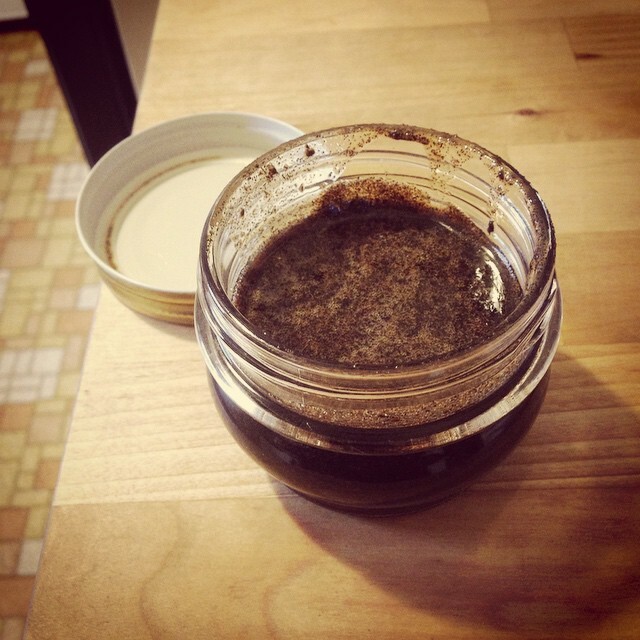 The vanilla paste is essentially just the vanilla bean innards scraped out and placed in a jar or bottle. The jar or bottle is far less messy than a whole vanilla bean since it is simple to scoop out a teaspoon of the vanilla paste from the jar and it is much more difficult to scoop out vanilla bean innards from a whole bean pod. When shopping for baked goods vanilla extract is almost always somewhere in the baking supplies area. The same cannot be said for vanilla flavor, because it isn’t generally used for baking. Vanilla flavor will more than likely be down the beverage aisle at the grocery store or on a shelf at your local coffee shop. Vanilla flavor usually does come from vanilla beans just as vanilla extract does. Vanilla flavor typically contains more artificial ingredients to make the vanilla flavor taste though. Sometimes vanilla flavor only consists of artificial flavoring. There are some vanilla flavors that do not contain a lot of artificial ingredients. These are few and far between, however. You can tell that vanilla flavor is not as concentrated an amount of vanilla based on how it is usually clear in color and is more sugar than anything else on the ingredients and nutrition list. Vanilla extract is not chock full of sugar and is dark brown. You can certainly use a vanilla flavor for baking, but it would not be as good as using vanilla extract, whole vanilla bean, or vanilla paste. Vanilla flavor will likely not distribute well within your baked good the way these other options will. Ultimately, it is advisable to avoid using vanilla flavor syrup in any baked goods unless a recipe specifically requests you add that to the concoction. A vanilla flavor is best to use for beverages that require some sweetening and some hints of vanilla flavor. Baking with vanilla is likely never going to go away anytime soon. We’re all too addicted to the deliciously sweet, mellow, and smooth flavor. 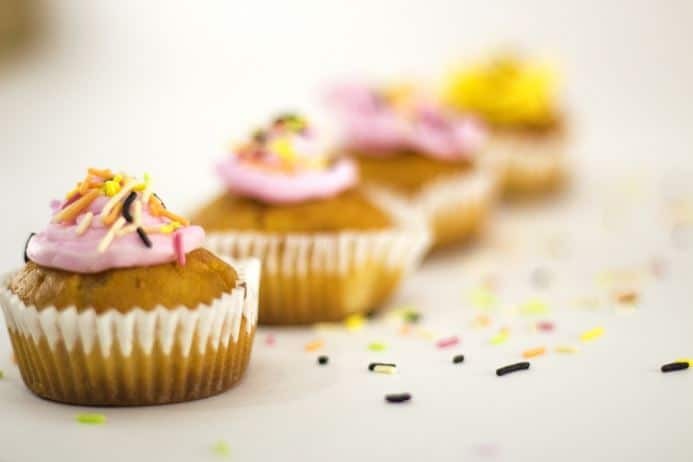 Baking with vanilla extract or with vanilla bean will give you the same concentration of your favorite flavor. The difference between the two comes down to personal preference and what kind of price range you have for your baking supplies. If you love vanilla, perhaps you should give all of the different options a try. Get some whole vanilla beans and try them for a few different baked goods for a few weeks. If you think the whole vanilla bean is too messy for you to handle properly or for a tidy clean up, you can always give vanilla bean paste a try too. The vanilla bean paste is the perfect substitute for those who want something in the middle of a whole vanilla bean and the ease of vanilla extract in a bottle. Or perhaps if you find that you dislike the consistency of a whole vanilla bean or the vanilla bean paste, then you should stick with the traditional vanilla extract in a bottle. Or if you like them all you can experiment with all of your vanilla options before settling down with just one option for yourself. Happy baking with all of your different vanilla options!